According to our records, these guys appeared at the California in several times in the mid 60s. They were constantly changing their name. 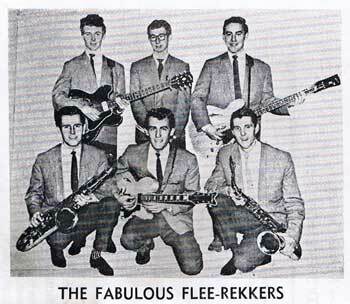 We have them as the Fleereckers, Flee-Reckers, Fabulous Flee-Reckers. If there is a Flee or a Recker out there any chance you could get in touch and explain?